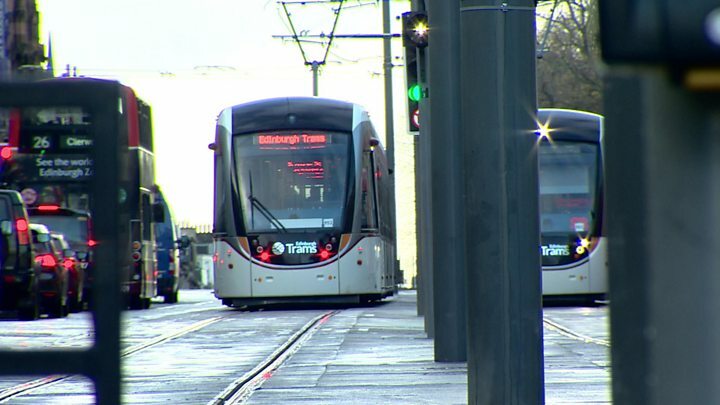 The cost of the inquiry into the Edinburgh trams fiasco has exceeded £3.7m, BBC Scotland has learned. The probe is investigating what went wrong with the £776m project which went massively over-budget and was completed five years later than planned. It was established in June 2014 by Alex Salmond, then first minister, who said it would be "swift and thorough". A spokesman for the Edinburgh Tram Inquiry said it was making "good progress". However they were unable to say when Lord Hardie, who is leading the inquiry, was due to report its findings. The spokesman said: "The Scottish ministers have been clear from the start that the inquiry should be timely and cost effective. "Lord Hardie's priority is to conduct a thorough investigation into the Edinburgh tram project and produce a report and recommendations that ensure lessons are learned for future major infrastructure projects." The details of the costs of the inquiry were published by Transport Scotland in response to a freedom of information request. It revealed that £1.822m has been spent on staffing costs, while legal fees have cost £716,000. And the costs are likely to increase further as the Scottish government has allocated it a total of £2.5m for 2016-17. The development has led to calls for the inquiry to be brought to a swift conclusion. Miles Briggs, a Conservative MSP for the Lothians, said: "Edinburgh taxpayers are quite rightly angry that the Edinburgh Trams inquiry has gone on for so long and at such a cost to the taxpayer. "It is essential that lessons are learnt from the inquiry and that the findings should be reported back as soon as possible so we can see what went wrong during the original project. "Too often public infrastructure contracts are allowed to overrun with Scottish taxpayers being exposed to the increases in costs." A total of 25 people are employed by the inquiry, which is currently reviewing more than six million documents. They are also taking statements from "witnesses of interest" before oral hearings begin. The inquiry will not determine why the project went ahead, nor will it decide if anybody was legally responsible or financially liable. It will examine why the project cost so much while delivering less than had initially been planned. The Scottish government has agreed to fund the costs of the trams inquiry until it is completed. A spokesman for the government said: "We have been clear from the outset that the inquiry should be efficient and cost effective, however, we know that major infrastructure projects do generate large quantities of documentation, and we understand the inquiry team has already gathered over six million documents. "Lord Hardie and his team is firmly committed to discerning the facts in a robust and thorough manner in order to ensure the final report is fair, balanced and offers clear recommendations for the planning and construction of future projects." The project was first mooted in 2003 when the Labour-led Scottish Executive proposed building a network of tram lines at a cost of £375m by 2009. When the SNP minority government was elected in 2007, they planned to scrap the project. But that decision was overturned when the other parties in the Scottish Parliament voted in favour of pressing ahead. After that, the government said it would not provide additional funding beyond the £500m committed by MSPs. By the time the first trams started running on the 8.7mile (14km) route in May 2014, the total cost of the project had reached £776m.